Travel experts name the place that captured their heart. As an award-winning travel journalist traveling the world for years, the upcoming Valentine's Day holiday got me thinking about the most romantic place I'd ever been. I started wondering how that compared to other world wanderers' most romantic places, so I asked some travel experts to share with "Good Morning America" the one place in the world that's captured their hearts the most. From Bora Bora to Italy and lots of places in between, here are our various picks for "the most romantic place I've ever been." 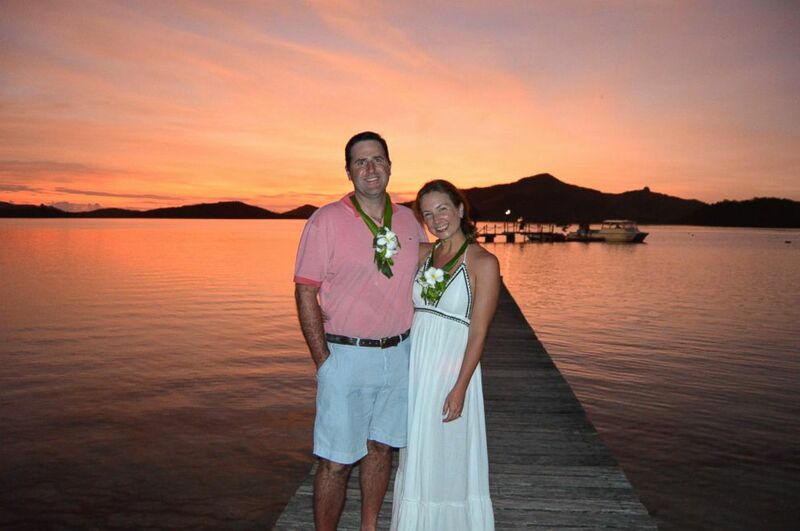 (Genevieve Shaw Brown) Genevieve Shaw Brown picked Turtle Island, Fiji, as the most romantic place she’s ever been. The resort where I stayed is only accessible by sea plane and you're greeted by the staff with a welcome song upon landing. But what makes Turtle Island so romantic is the element of privacy. There are only 14 couples booked at any one time and 14 beaches, so guests have a private beach every day of their visit, assigned each morning. Champagne picnics are the norm as are private dinners on pontoons, in the mountains or beachside. If you do want to interact with your fellow guests -- and you probably will, there's nightly group dinners, as well. Aside from the romantic nature of Turtle Island, there's something so special about the staff. From the moment you arrive on the island, you are treated like family. The Fijian people who live and work on Turtle Island are some of the most welcoming, caring people I've ever come across in my travels. "The Seychelles has to be the most romantic place in the world. It’s many, varied islands are perfect for couples to explore nature and have some of the worlds best beaches all to themselves. Whether it’s riding bikes on tranquil La Digue or staying in a perfectly cultivated luxury resort on Mahe, the Seychelles just oozes romance. Meet you there?" 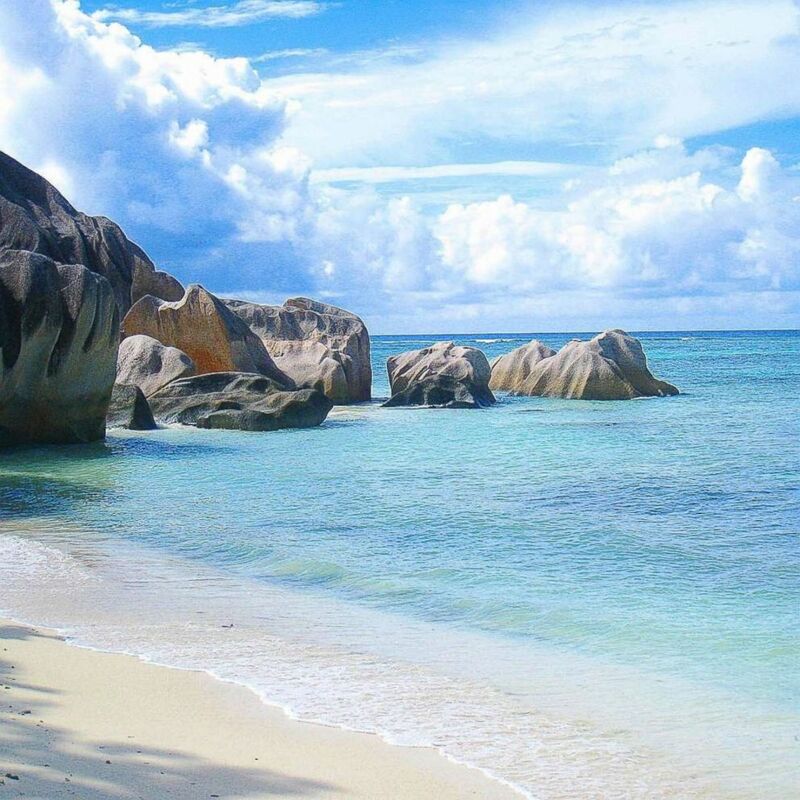 (Lee Abbamonte) Lee Abbamonte picked the Seychelles as the most romantic place in the world. 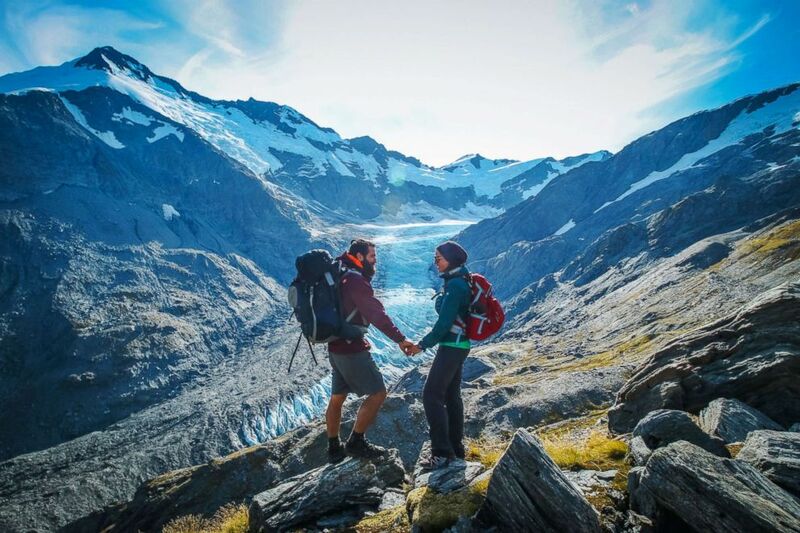 "New Zealand is the most romantic place we have ever been. Our idea of a romantic getaway is to escape the crowds and get into nature. We spent a few days at a charming bed and breakfast while searching for our favorite local winery. Most of our time was hiking in the South Island of New Zealand. Nothing says I love you like a hike to an empty mountain hut and cuddling up to a warm cozy fire." (Beard and Curly ) New Zealand was the pick for most romantic destination by the world travelers known as Beard and Curly. "Hands downs, the most romantic place I’ve ever been to is Bora Bora undoubtedly. 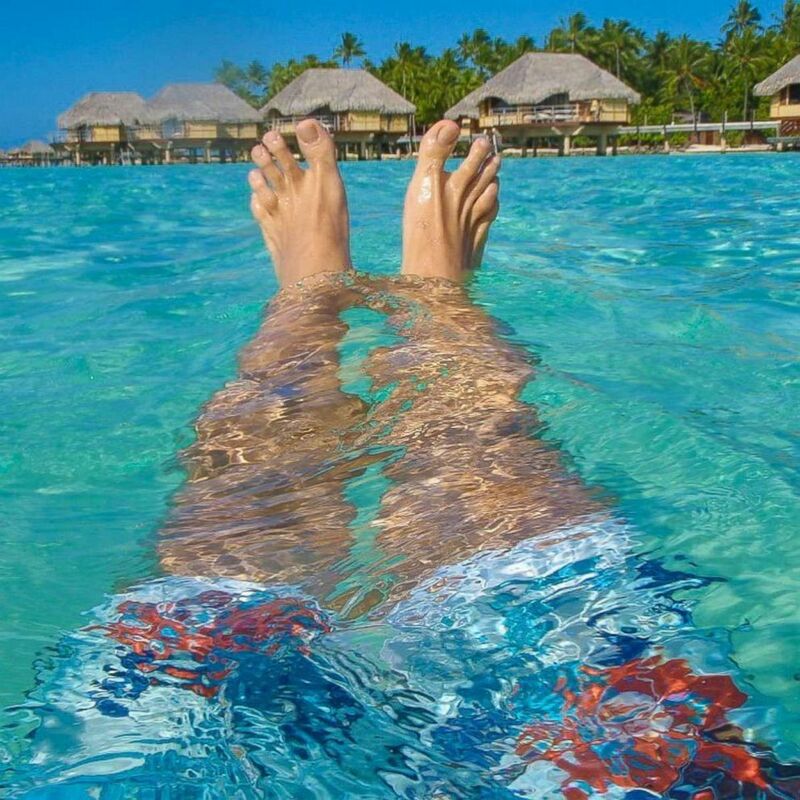 Bora Bora simply equates to all of your tropical dreams come to life. There are pristine bluer than blue waters, glistening white sand, and majestic, dreamy bungalows tucked away at every turn. Unlike some other tropical destinations, Bora Bora is truly secluded and feels like your own private island. In fact, it’s so private that the same number of people who visit Hawaii in a week equates to the same number of people who visit Bora Bora annually. Bora Bora epitomizes the perfect romantic getaway." 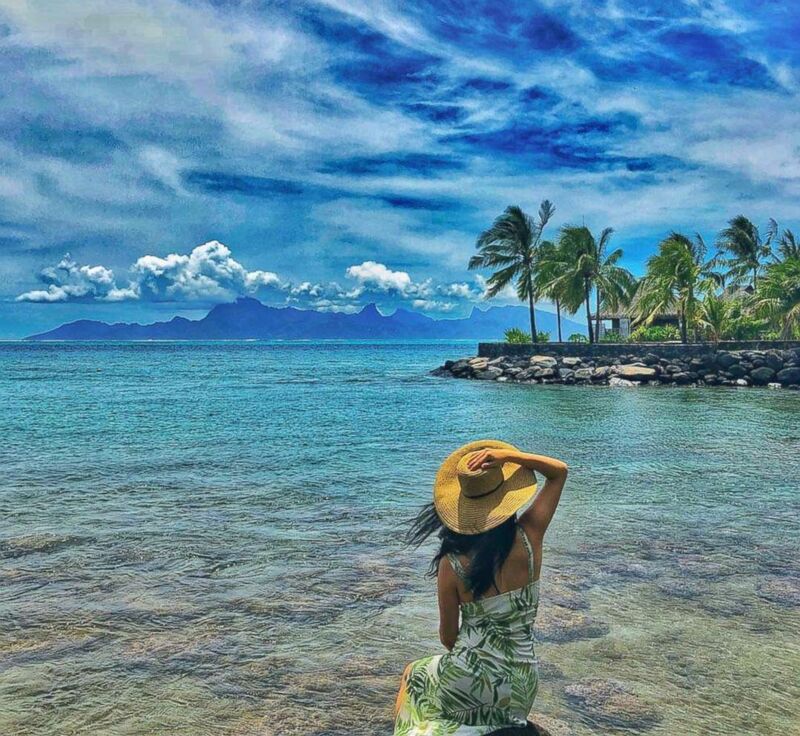 (@KimiasKravings/Kimia Kalbasi) Kimia Kalbasi picked Bora Bora as her most romantic destination. "The island of Taha'a! It’s the fourth largest of the Society Islands (Tahiti, Moorea and Raiatea are the others). You land at Raiatea Airport then take a private thirty-minute smooth boat ride to Le Taha'a Island Resort and Spa. 48 overwater bungalows makes you feel like you are out in the middle of the South Pacific all by yourself. There's no boat traffic like in Bora Bora and the bungalows are reasonably spread out. They have glass bottom floors so you can see the fish below." (Johnny Jet/@JohnnyJet) Johnny Jet picked the island of Taha'a for most romantic. "The most romantic place I've ever been in Hoi An. 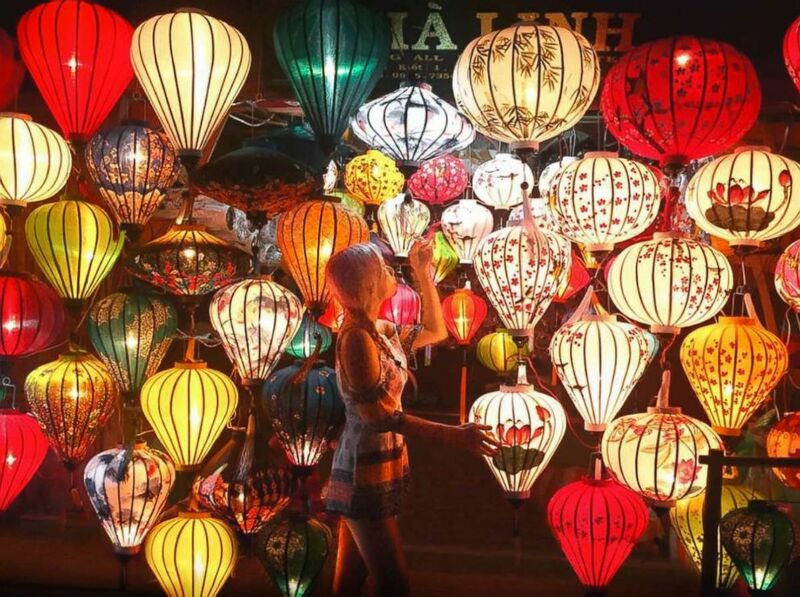 The Hoi An Ancient town is a UNESCO World Heritage Site and the famous street lanterns not only make the ultimate Instagram selfie but is one of the most romantic destinations in the world. Take a stroll down the scenic Japanese Covered wooden bridge or dine al fresco at one of the idyllic cafes, it's the perfect Valentine's Day Destination." (HanoicreditKailaYu) Kaila Yu picked Hanoi for most romantic. "The most romantic spot I've ever been? Tuscany. The wine, the olives, the incredible views that go on forever...whether enjoying sunset with a glass of Chianti or going on a truffle run, there's just so much to do and see here, making it the best destination for a honeymoon or just a much-needed getaway." (Aly Walansky) Travel journalist Aly Walansky picked Tuscany as a favorite romantic destination. 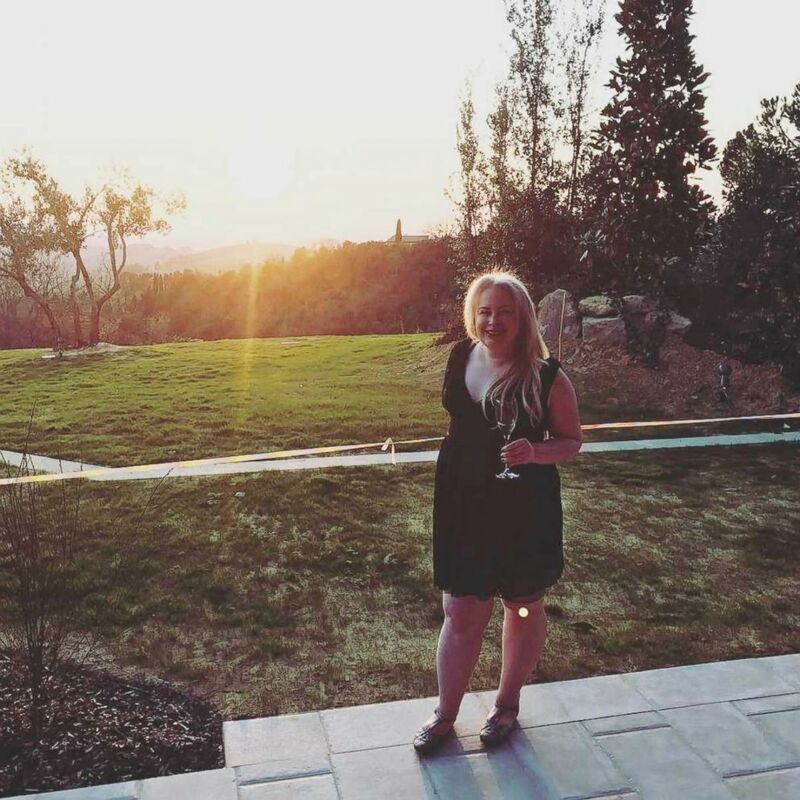 "The location may feel a bit cliche, but after a month of traveling the US without my husband, Sonoma was the perfect place to reunite and reconnect with each other this past summer. The region delivered just enough adventure with hikes through redwood forests and kayaking along rivers. From there, a drive through the countryside became a dreamy backdrop to escape into deep conversation over a few glasses (or bottles) of local wine, amongst ivy-covered walls and vineyards as far as the eye could see. Despite a catastrophic fire this past October, most of the wineries are still open, some needing the travelers now more than ever. 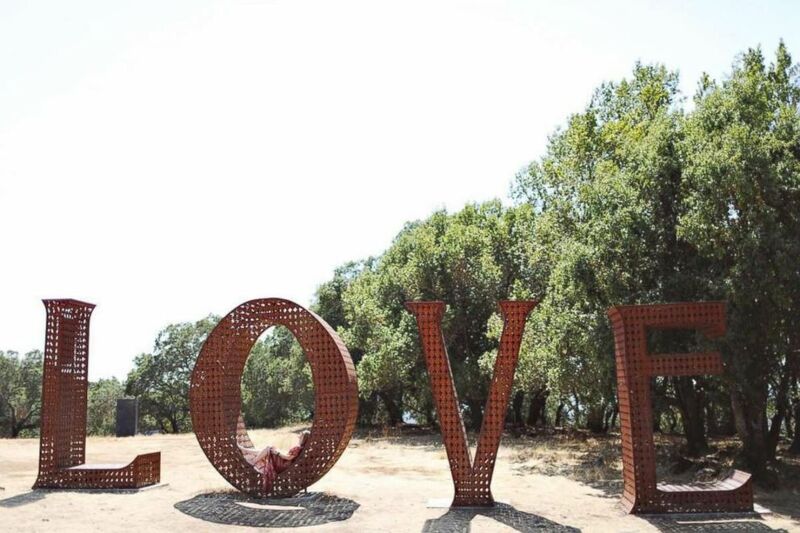 It's sad, but the Love Sculpture is all that is left of Paradise Ridge Winery. I think it shows that the love remains strong." 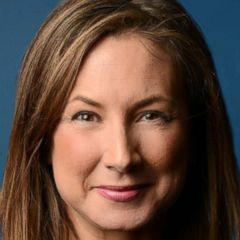 (@ourendlessadventure/Becky Stavely) Becky Stavely chose Sonoma as her favorite romantic place.